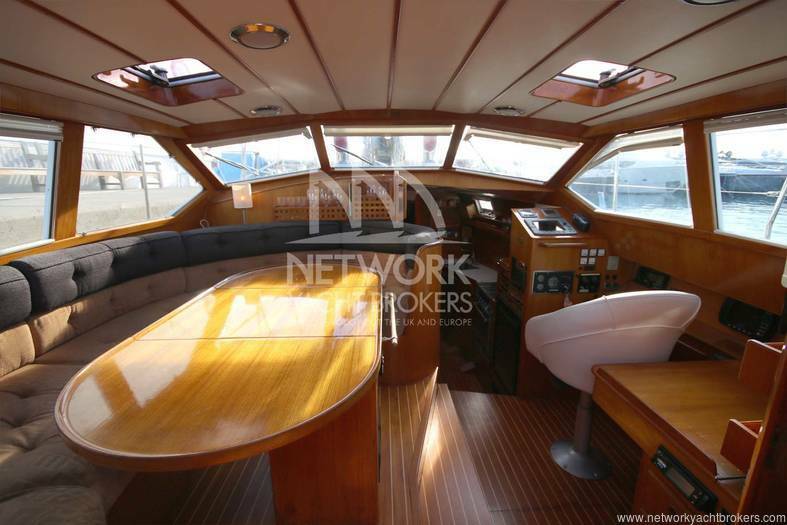 This is a beautiful and rare example of a Van de Stadt Norman Deck Saloon Sailing Yacht. 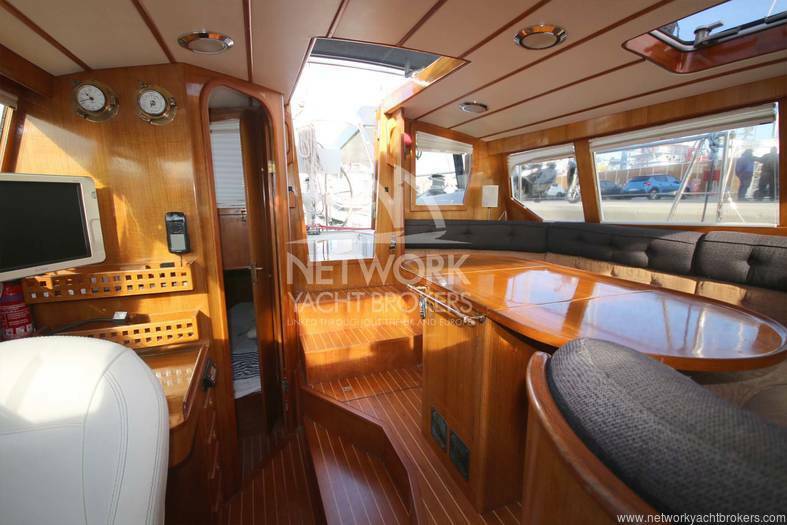 She was built under Lloyd’s certification by the renowned Oland Brothers shipyard in Denmark. 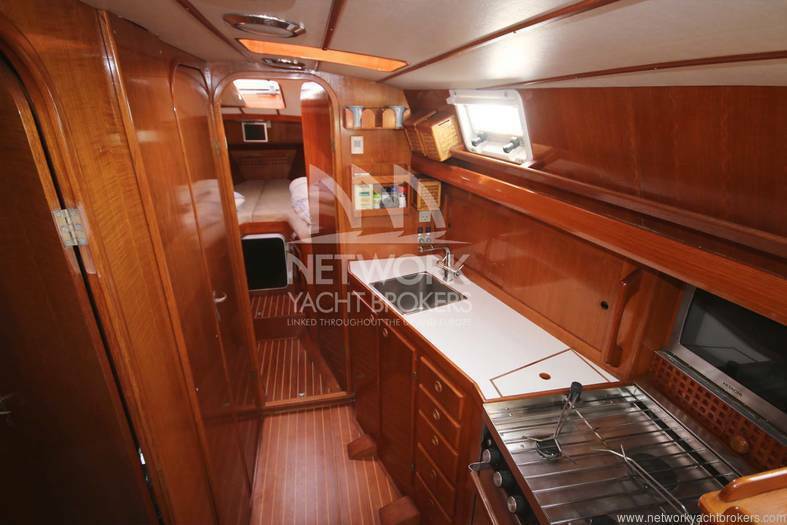 In 2009 she underwent a major refit costing around €140.000. 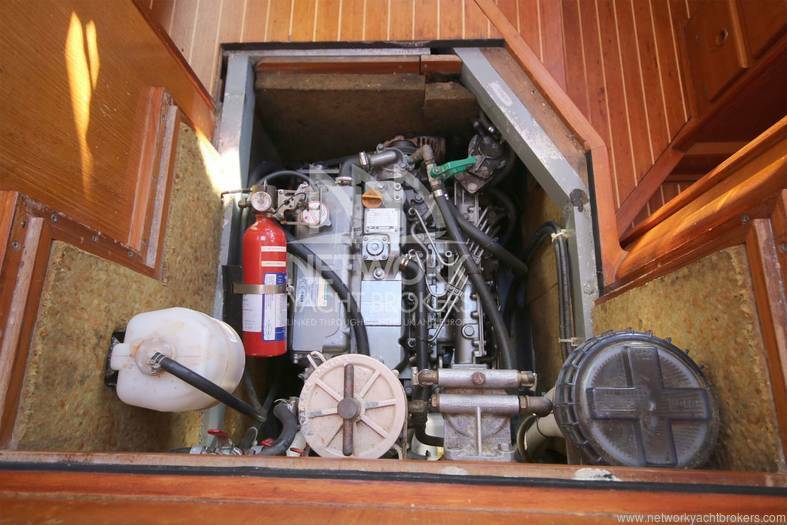 During this extensive refit, almost all functional items were replaced including the teak deck, engine and standing rigging. A full refit inventory invoice is available upon request. 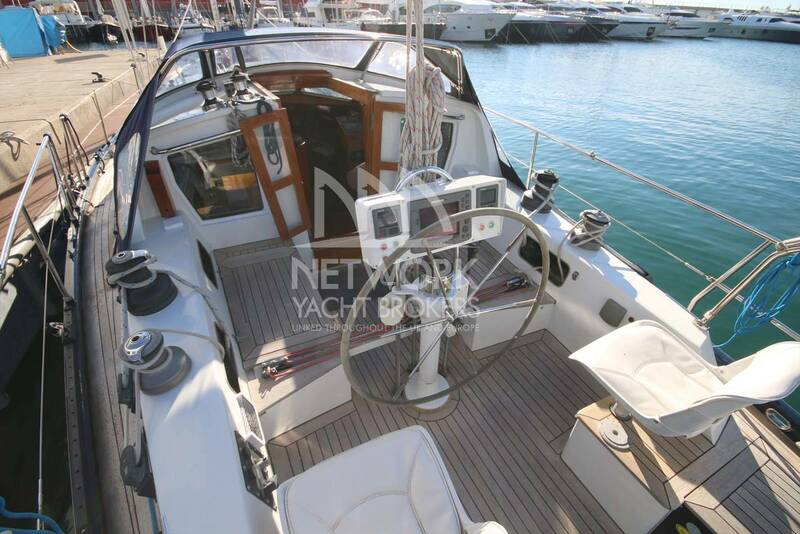 The actual owner maintained her in exceptional conditions. 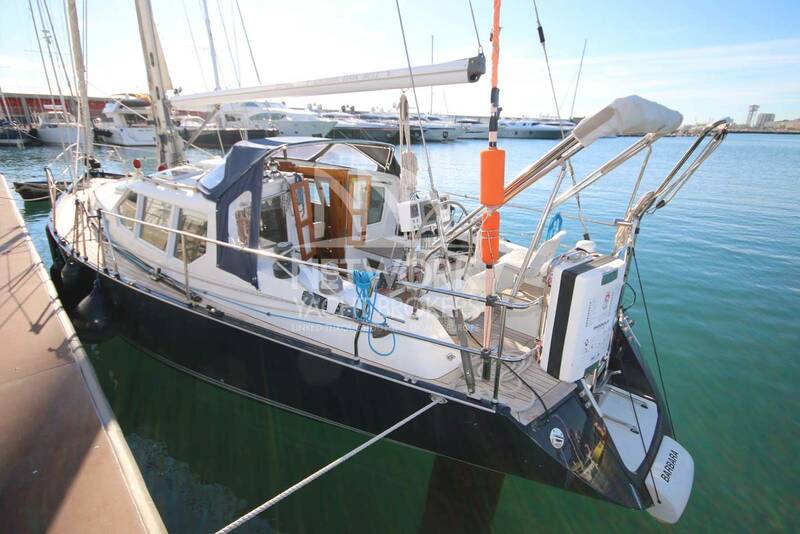 We can say that she is ready to sail and we strongly recommend a viewing. 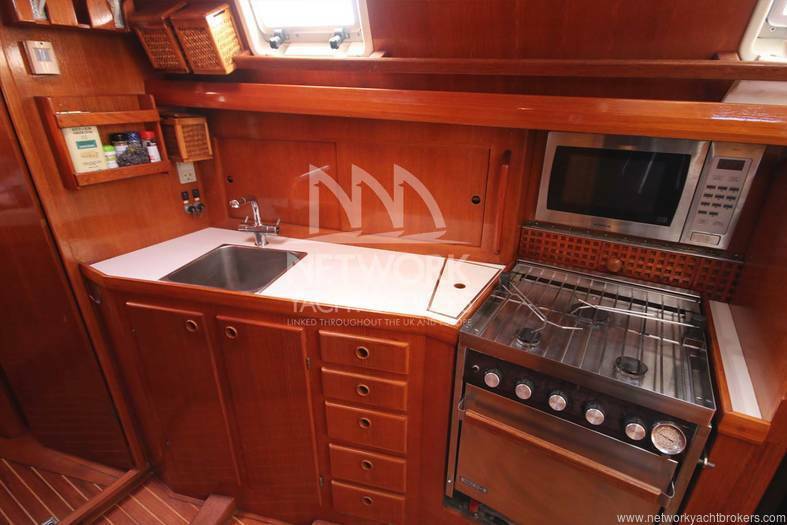 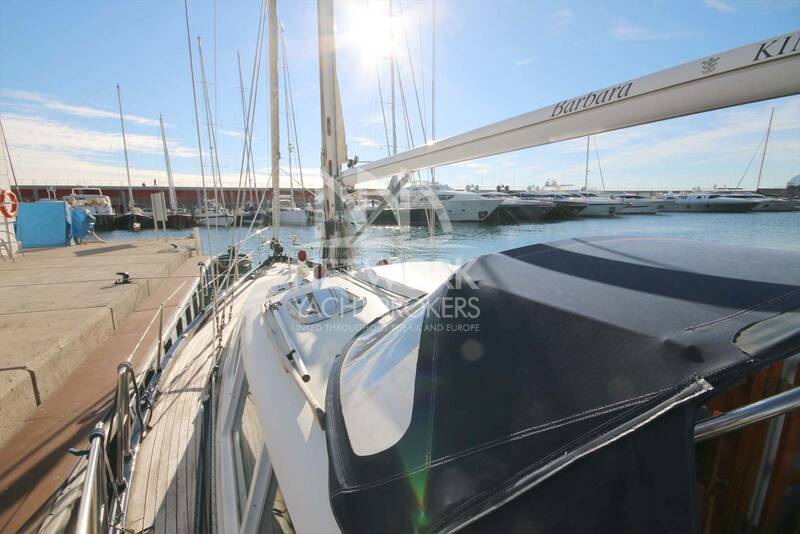 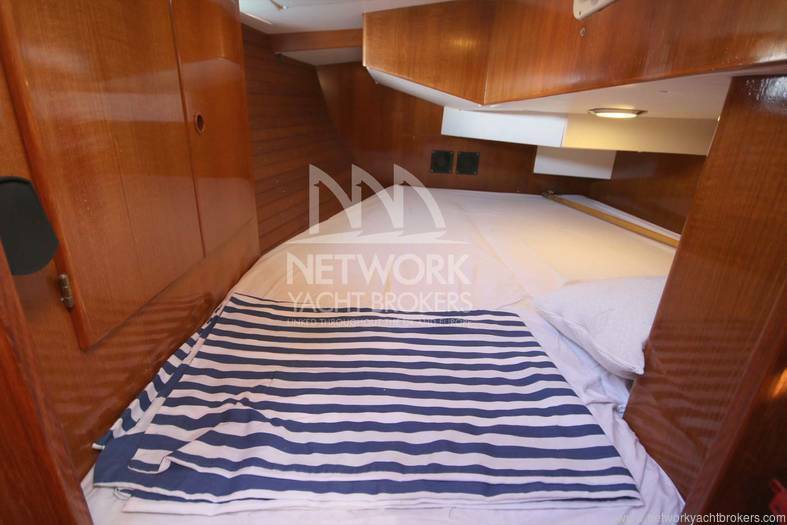 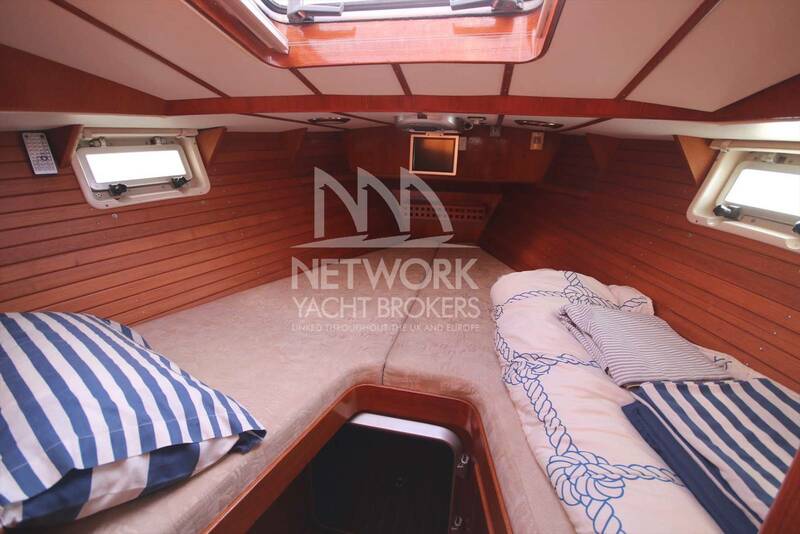 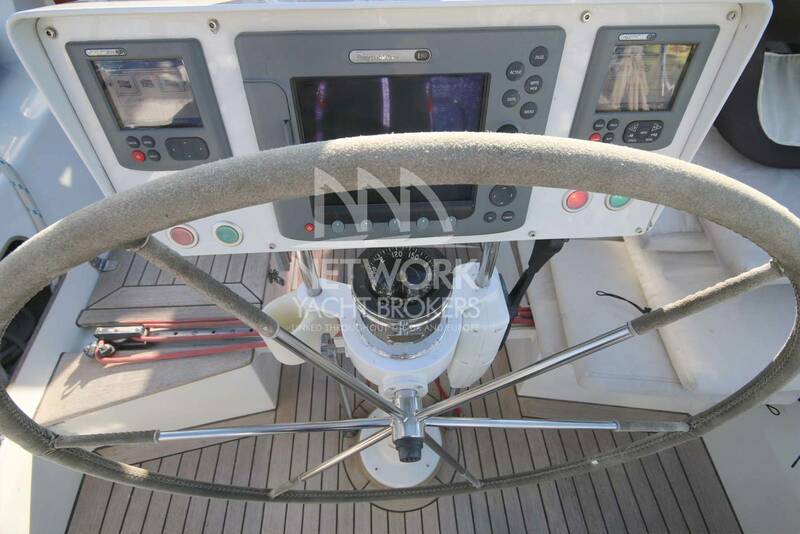 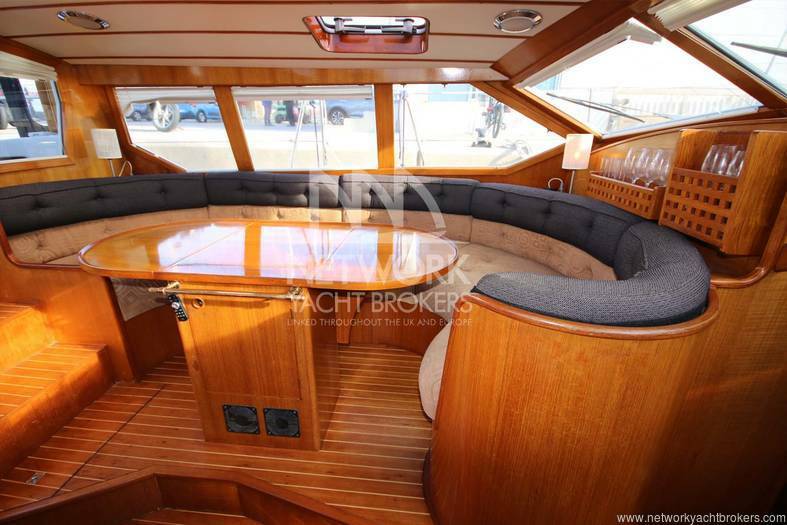 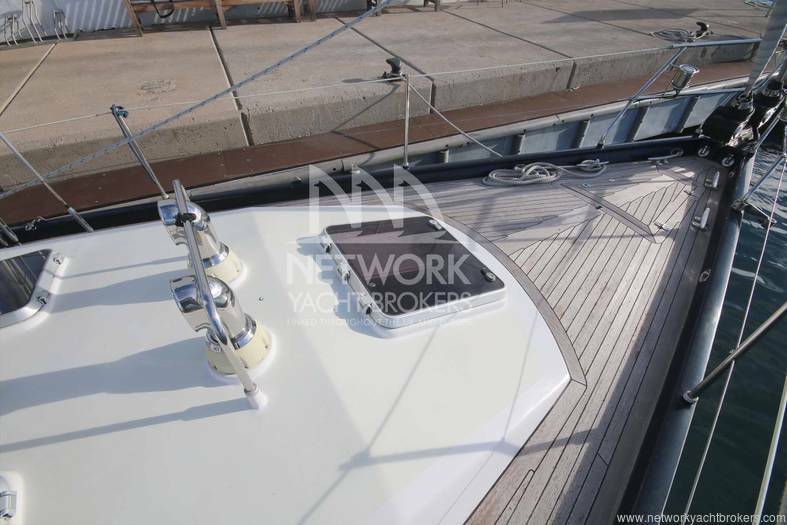 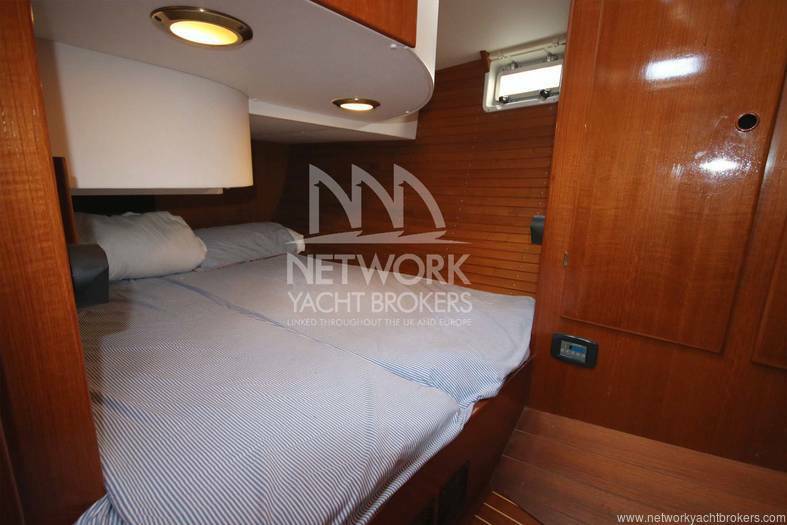 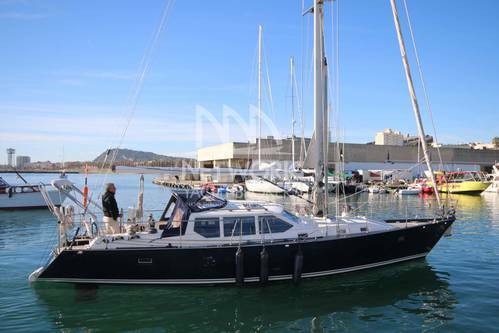 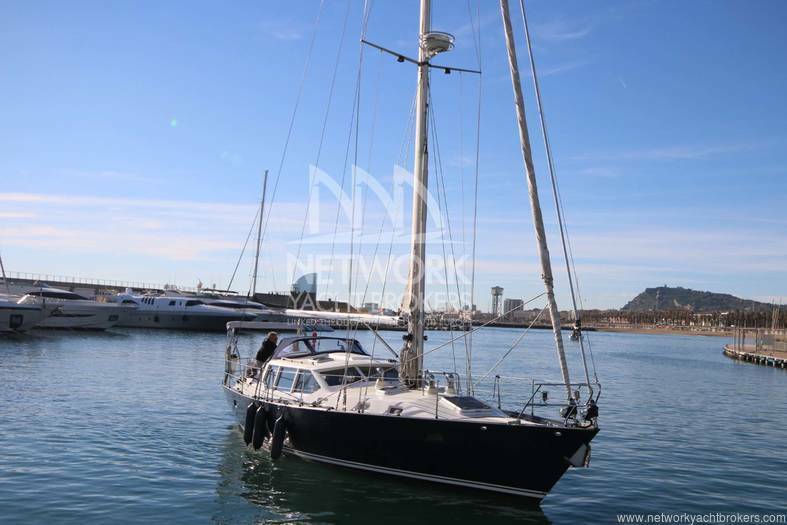 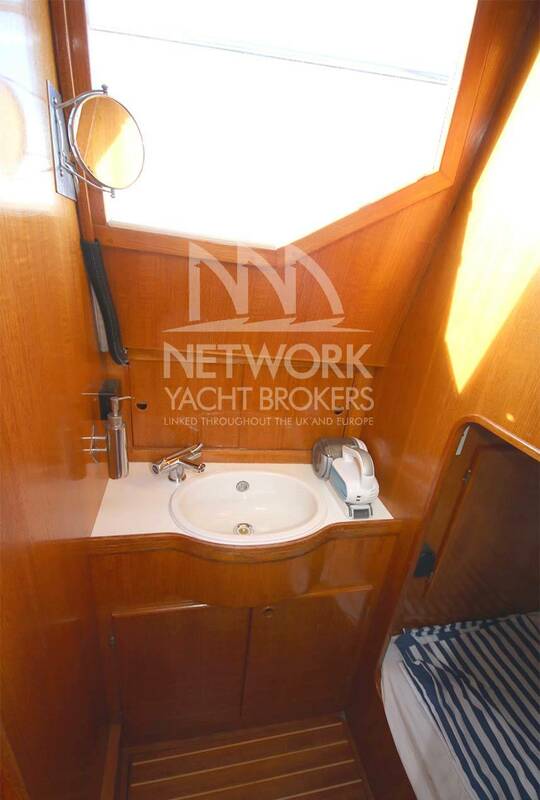 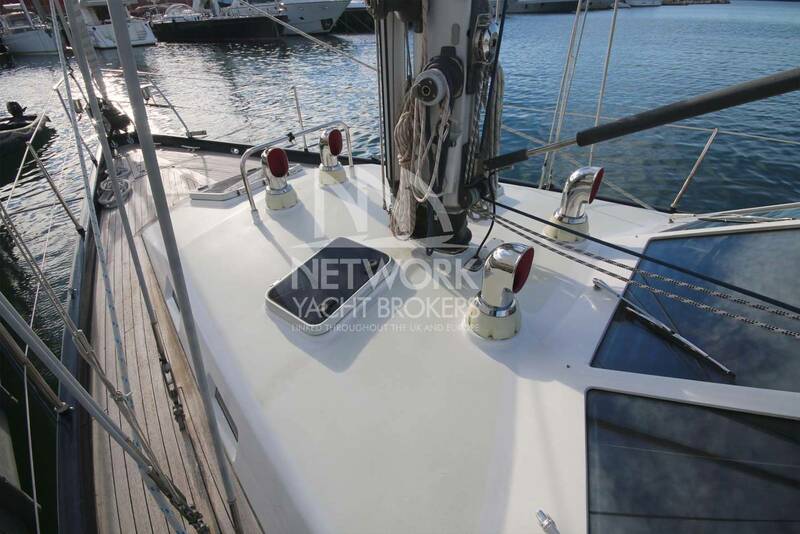 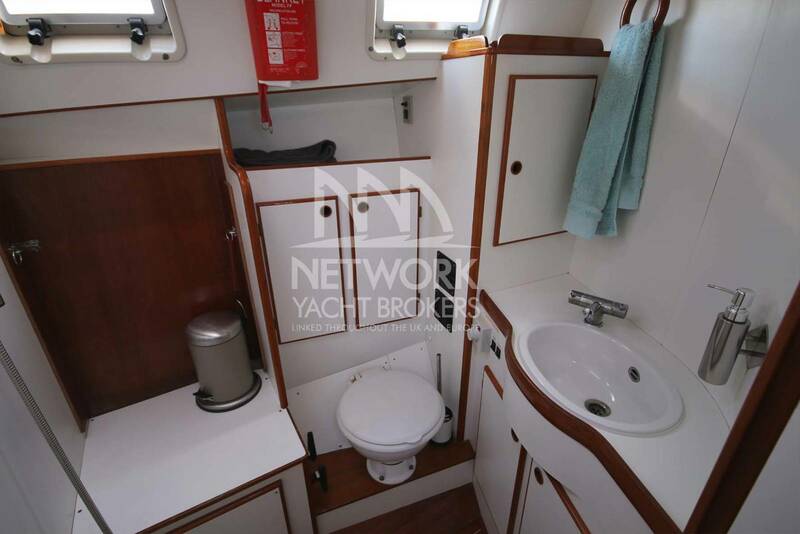 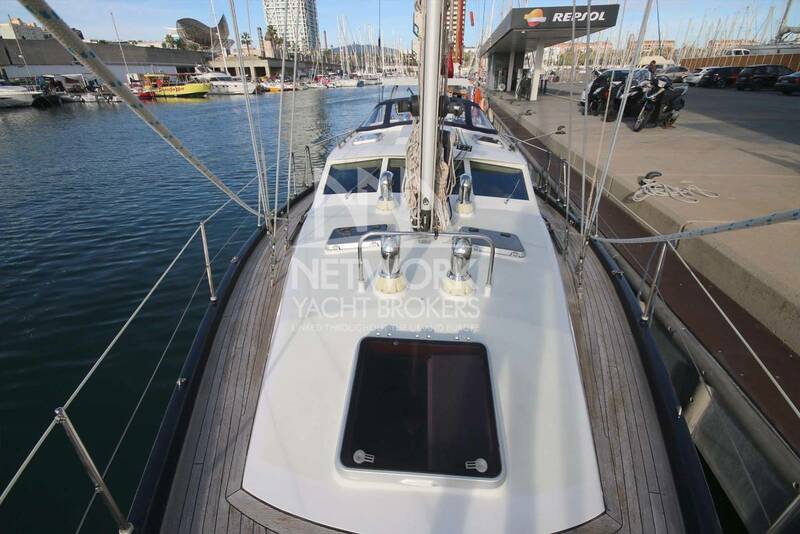 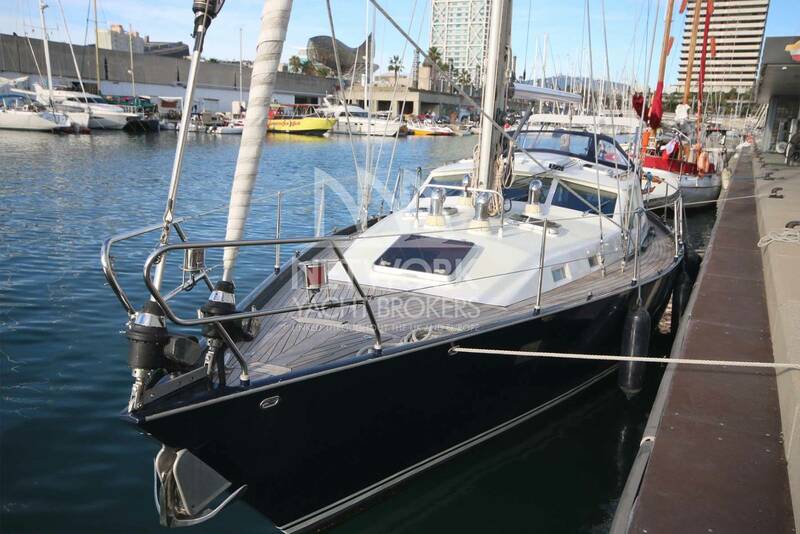 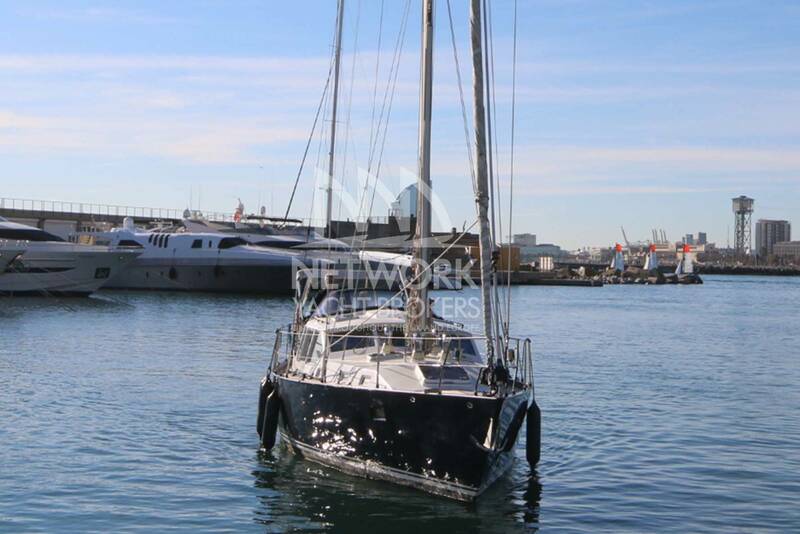 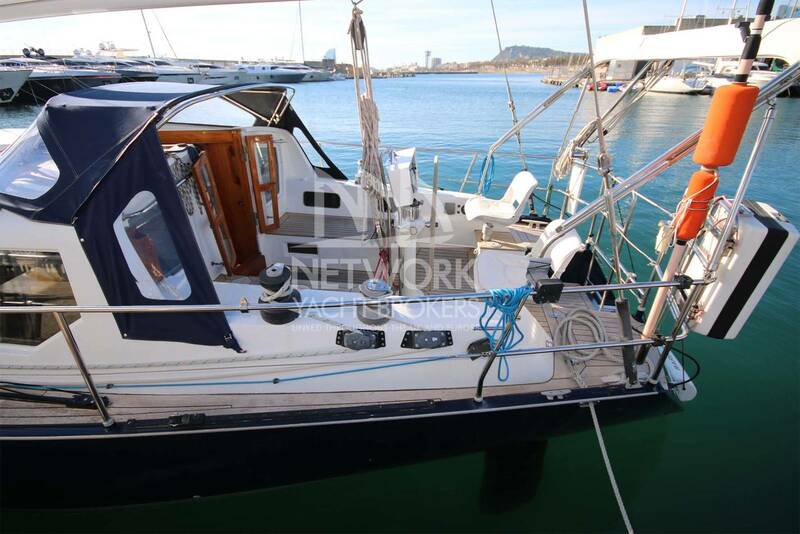 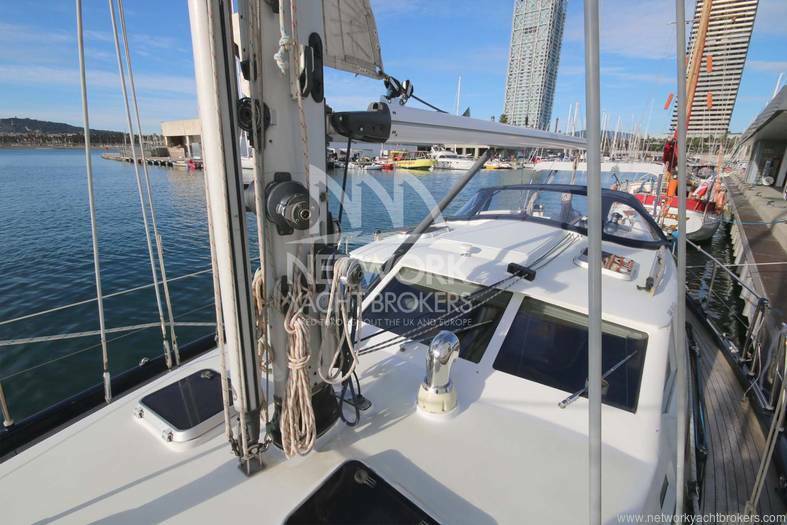 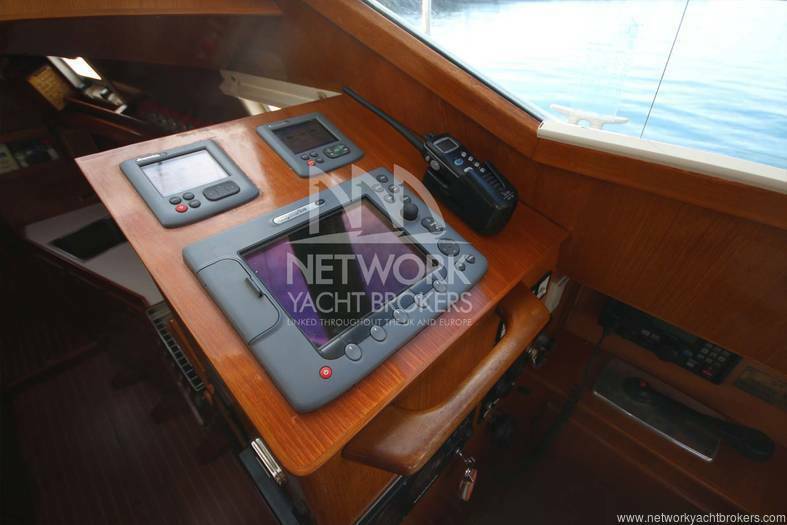 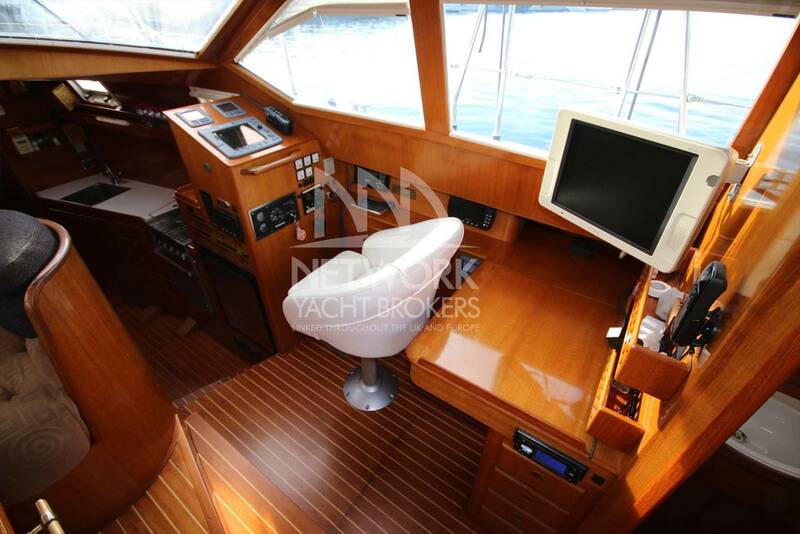 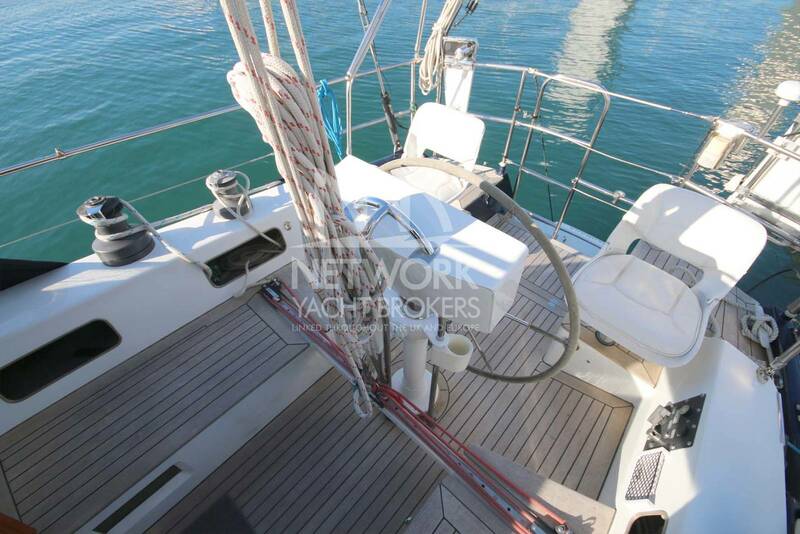 The interior of this well-appointed Deck Saloon is exceptional and very well maintained. Entry into the living quarters is via the saloon companionway where a well-appointed table with seating for six is found. To starboard of the saloon, is the traditional sized navigation table with an array of up to date instruments surrounding it. 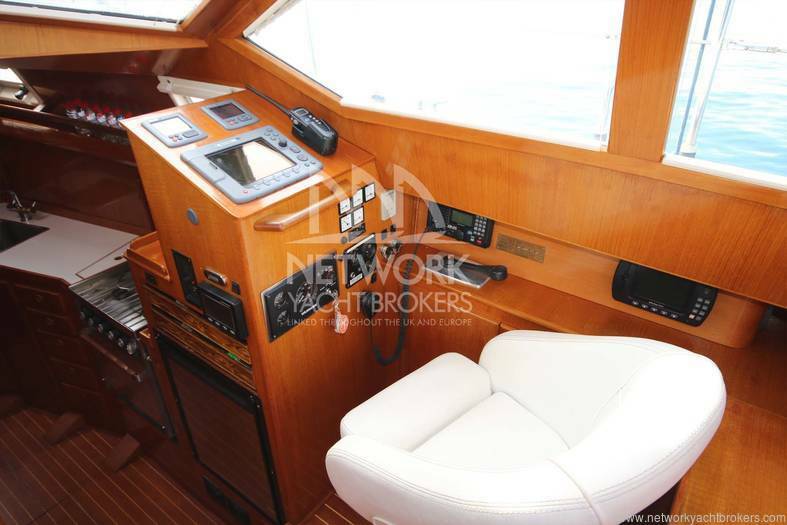 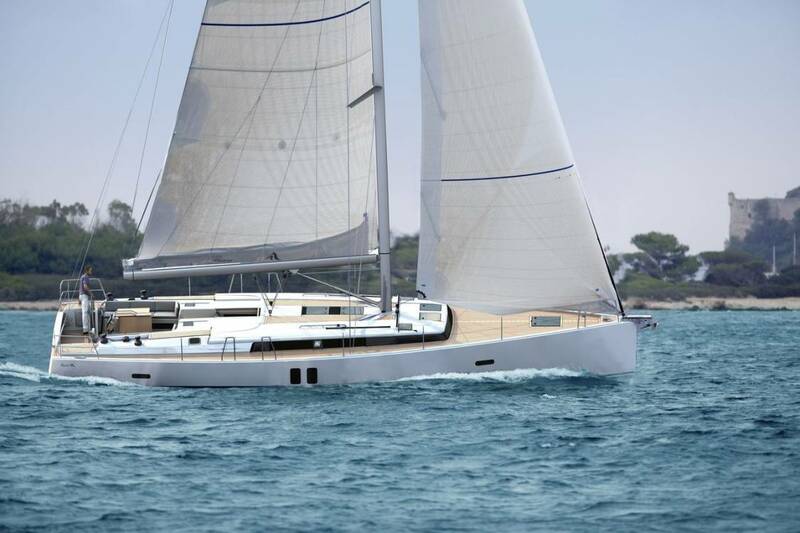 A lower helm position qualifies her as a real deck saloon yacht. 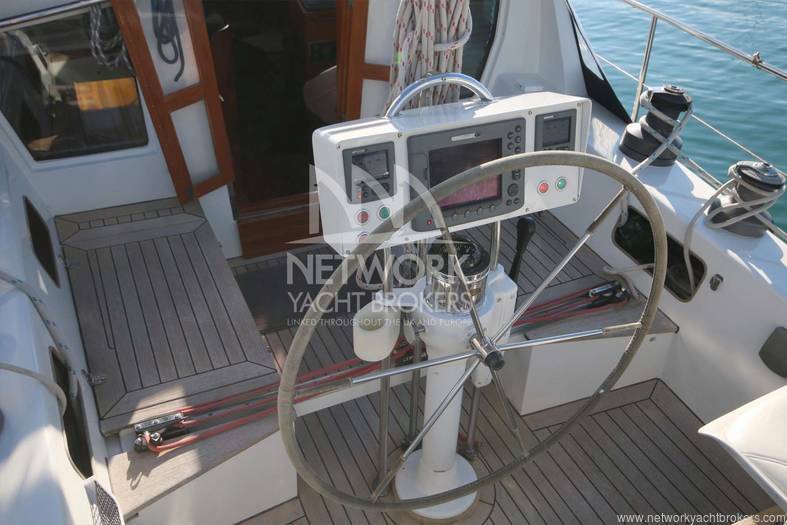 She also has a fully functional lower helm autopilot control. 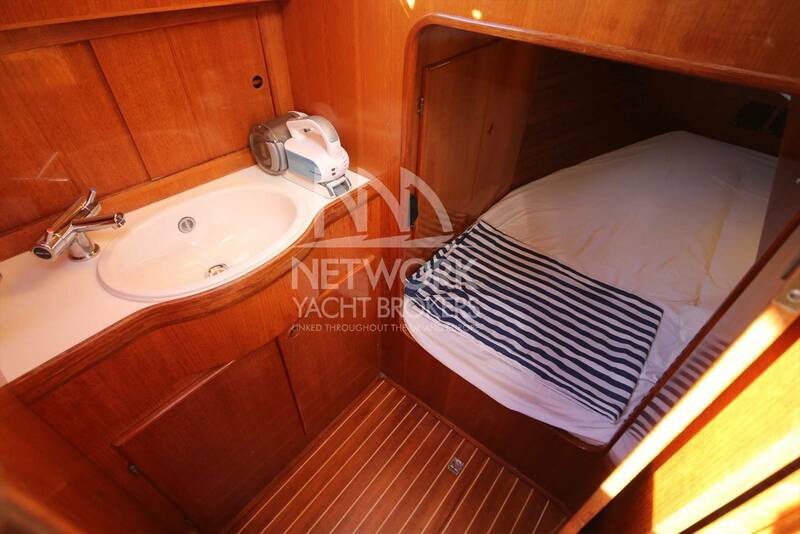 Aft is a large cabin suitable for two people to sleep in great comfort. 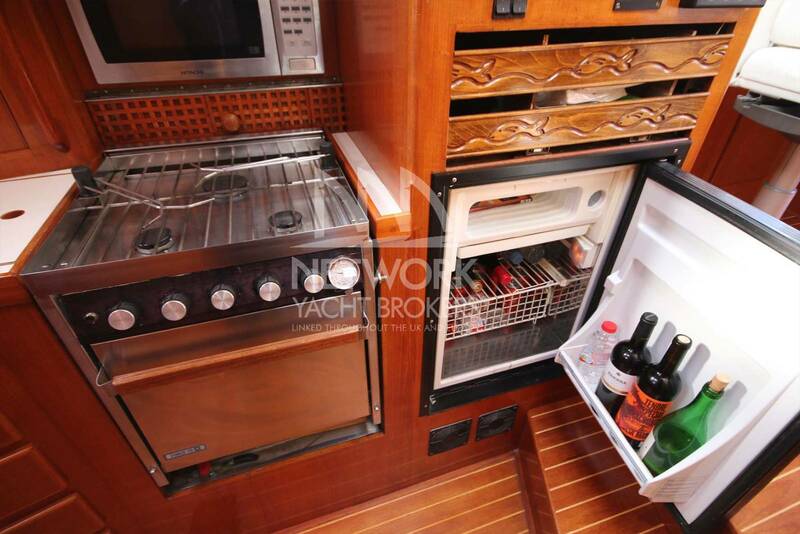 Moving forward from the saloon and two steps down is the well-appointed galley. 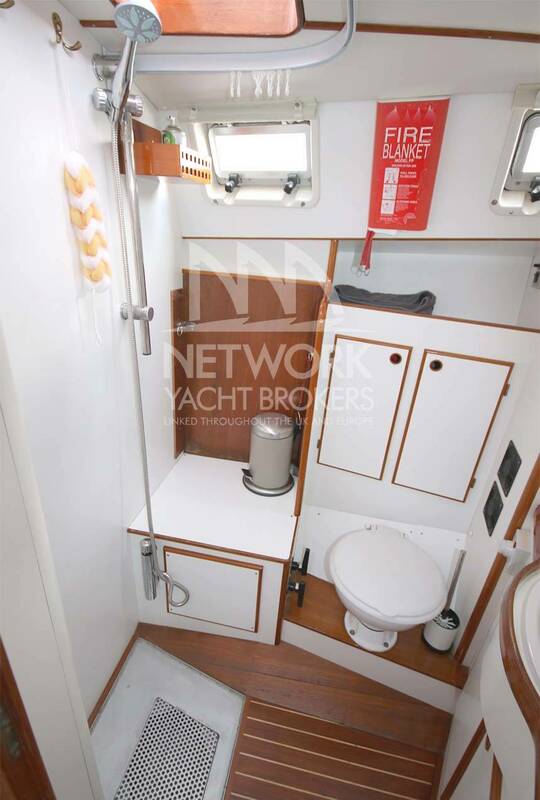 Foreword can also be found two further cabins with a toilet and shower compartment.